I made this interactive panorama for Amnesty International. 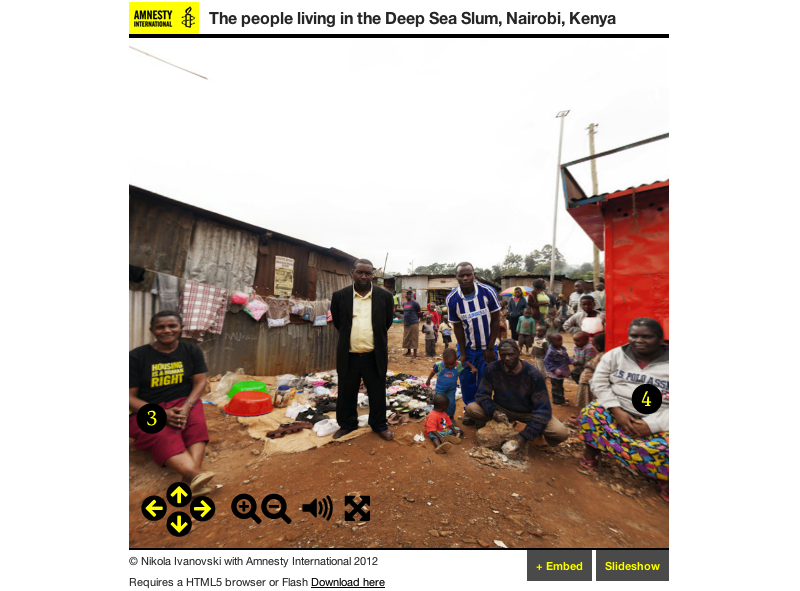 It tells the story of the people living in the Deep Sea Slum in Nairobi, Kenya. I built the interactive image in HTML5 and Flash so it will work on phones and tablets as well as computers.